The elegant runner receives a sustainable upgrade. 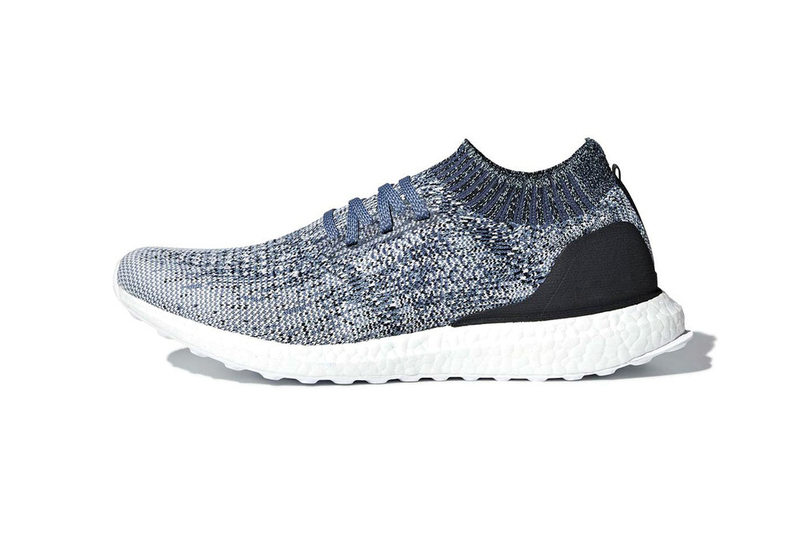 Hot on the heels of the pair’s cool-hued UltraBOOST Clima, Parley and adidas tease a sleek UltraBOOST Uncaged silhouette. The trim runner’s upper sports a speckled knit crafted from Parley’s recycled ocean waste textile, with complementary laces and stitching on the ankle opening. Co-branding appears above the black heel cage, with a solid white BOOST midsole guaranteeing maximum comfort. Expect the Parley x adidas UltraBOOST Uncaged to hit stores in June for $200 USD. Recently, the pair joined for a reworked Deerupt silhouette. The Japanese brand offers up more storybook-ready clothes. Another color choice for the Swoosh mashup. A SoundCloud track from 2016 now has visuals. To display large-scale installations, marble sculptures, and more. A few shades of grey. The A$AP Rocky-approved label returns with more quintessential Japanese looks.